Home/Grooming Tips, Informational/What are hypoallergenic shampoos? Bathing your pet is a huge part of being a responsible pet owner. It’s one of those tasks often passed to a professional pet groomer. For some pet owners, pet bath time simply is not their forte. After all, trying to get a 100-pound dog into a tub is not easy for some pet owners; the same could be said for an eight-pound cat who has decided he does not want to take a bath today. A professional pet grooming service can make the process easier and less traumatic for everyone involved, and help you to find the best products for your pets. 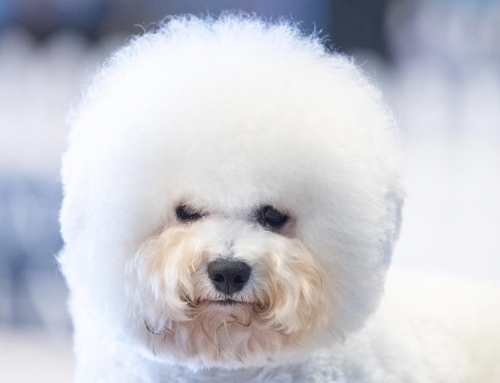 For some pets, hypoallergenic shampoos are a necessary part of the grooming process. Hypoallergenic shampoos are often used when a pet has developed an allergy to a component of regular shampoos. For some pet owners, the decision to switch to hypoallergenic shampoos may be a precautionary step for pets who have multiple allergies. Hypoallergenic shampoos are manufactured without common shampoo ingredients that have shown to cause an allergic reaction for some animals. They have simple ingredients-generally a cleaning solution derived from saponin, a naturally occurring chemical found in the soapwort plant, combined with oils and perhaps special ingredients that may help specific skin conditions, such as itching or flaking. Hypoallergenic shampoos are generally all-natural (although you should read the ingredients list, just in case) and many are organic. If you are concerned that your pet may need a hypoallergenic shampoo, your pet grooming service may be able to advise you on the best solution for your pet. Skin and fur health is important to your pets’ overall health, and your pet groomer is an important part of your pet’s health care team. Fortunately, they’re trained to help you make decision that allow your pet to avoid harmful allergens and still have beautiful skin and a healthy coat! By Haute Pets| 2017-11-08T20:45:32+00:00	September 15th, 2016|Grooming Tips, Informational|Comments Off on What are hypoallergenic shampoos?